My good friend Jenny makes cheese for a living. All day, everyday, it’s what-she-does. I personally find that not only awesome, but totally intriguing. I mean, how many people can tell you on a whim how to make like, 500 different kinds of cheese?! She can! I obviously begged her to teach me her ways… and she said YES. That’s friendship, y’all. Since I am not at all a professional cheese maker, we decided to start small and make a batch of ricotta. I use ricotta all the time! But the idea of making it at home seemed… I don’t know, unnatural? Scary? Impossible? Oh wait, I know, all of those – and then some! The recipe was unbelievably simple, and the ingredient list, even simpler. Score, baby! Although I was weary I’d fail this curd experiment and be left with nothing but tears and a giant mess, it ended up being a delicious success. Honestly, you guys have to try this at home. It took about 45 minutes start to finish, and the results were incredible. Let’s just say I’ll never be buying my ricotta in a tub from the grocery store again! 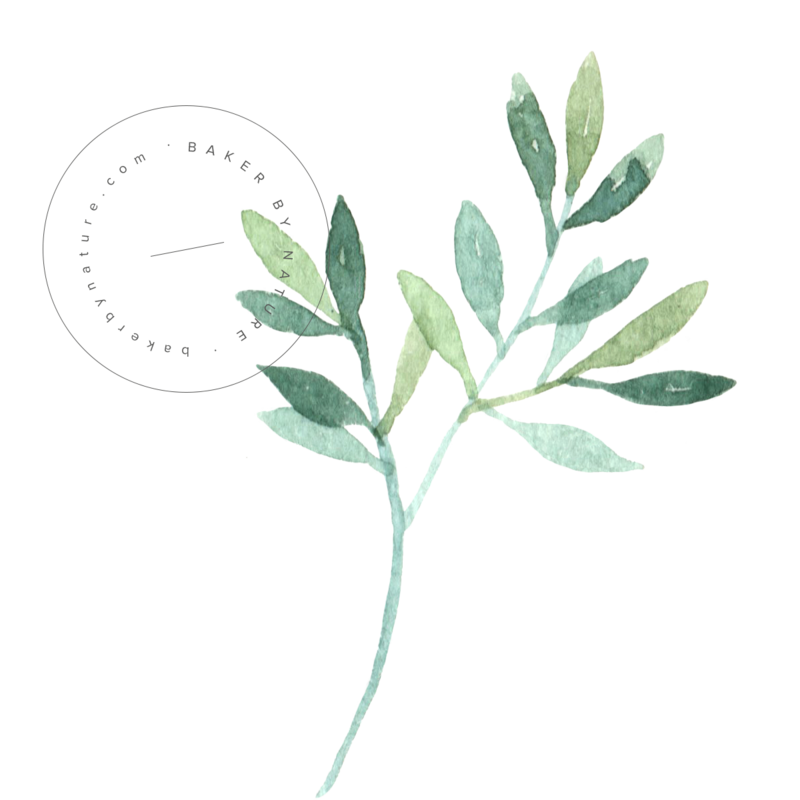 * We served this on a freshly baked baguette topped with basil, roasted tomatoes, and a drizzle of balsamic. It was GOOD! In a heavy bottomed saucepan combine the milk, heavy cream, vinegar and salt. Place the pan over a medium high flame and bring the mixture to a simmer. Simmer the mixture for about 2 minutes, you’ll see curds starting to form (omg! exciting stuff!!!). At this point you want to line a mesh strainer with a few layers of damp cheesecloth. Carefully pour the curds and whey through into the strainer and drain for about 15 minutes. 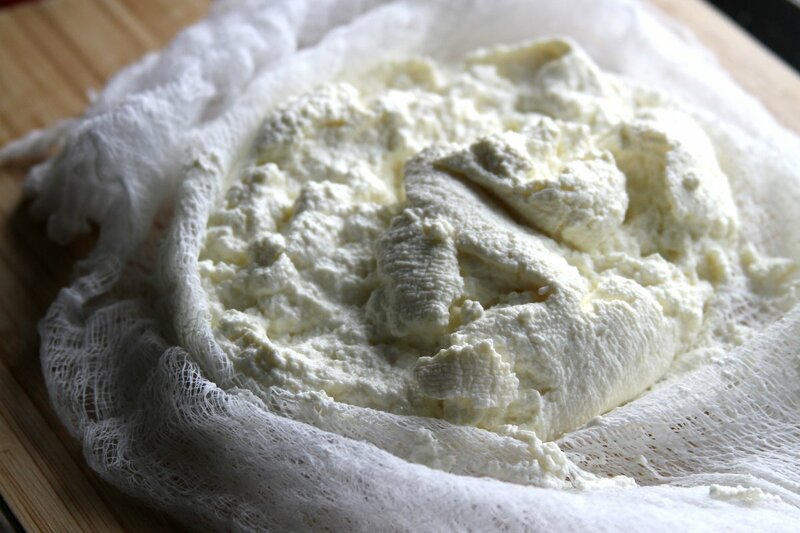 Gently gather the cheesecloth together and gently squeeze some of the excess liquid from the ricotta. 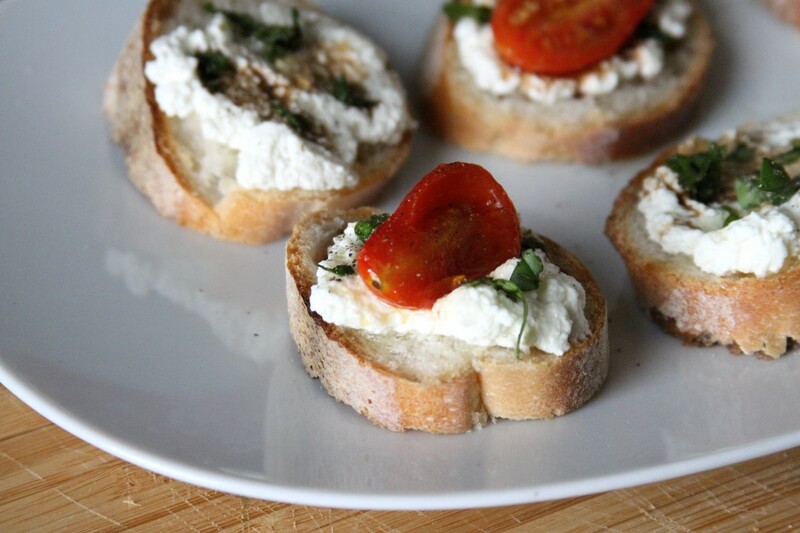 Transfer the ricotta to a serving dish and drizzle with olive oil. 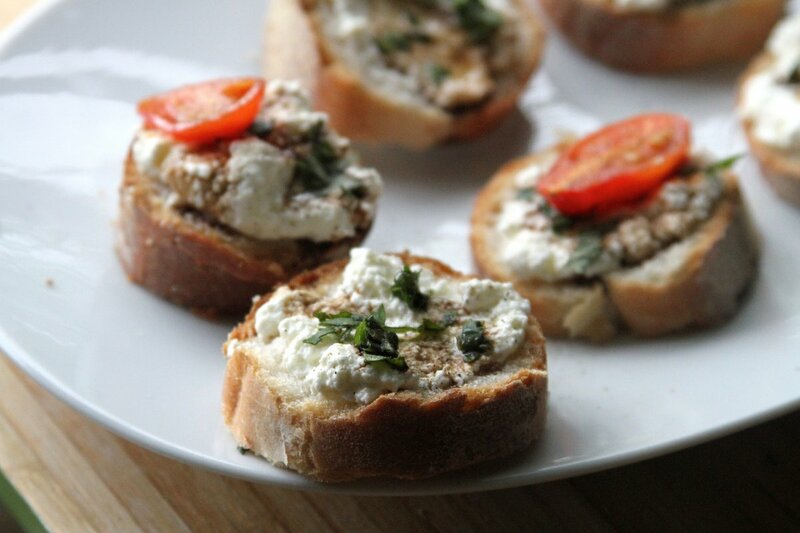 Serve with baguette and any topping you’d like! I can’t believe it’s THAT EASY. I have always had ricotta around and always from a tub. Not anymore! This looks so easy! I always thought that cheese-making was difficult. Guess you proved me wrong! 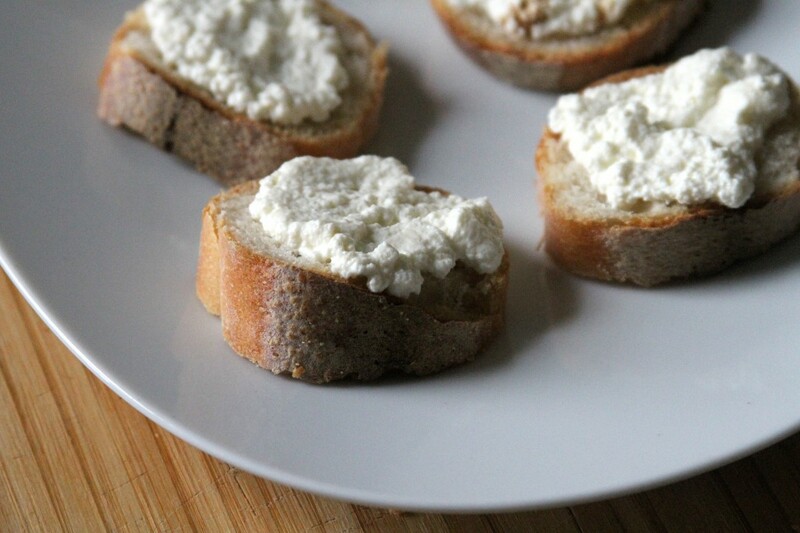 I’ve heard making your own ricotta is fairly and easy and SO worth it. I’ve been wanting to try it for awhile, so I may have to try your recipe sometime soon! Great post! Um, does your friend need an assistant?? I’ve always wanted to try making my own cheese but haven’t taken the plunge. You are making me believe I need to go for it ASAP! WHAT?! I want to make cheese all day, for real 🙂 I’ve never made my own ricotta before – this recipe makes it look so easy! I had NO idea it was this easy to make cheese!! Doing it. For sure. Maybe tonight? Is that too soon? I love this! Sometimes its awesome to find out how to make things at home that you buy at the store all the time. Wait… what? That’s it? I thought it’d take days! I have ALWAYS wanted to do this! 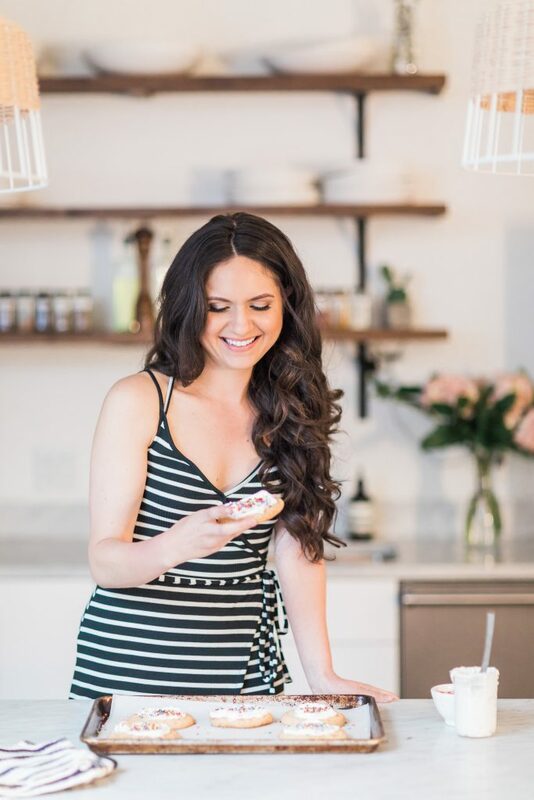 I tried to make goat cheese once (well…twice) and it was a disaster, but this looks really easy! I’ve been wanting to make my own ricotta for awhile, and you’ve just made me want to make it even more! When you make it yourself, you know exactly what’s in it. Looks so yummy Ashley. We have made it before.. Fresh and homemade beats the packaged kind anytime! I have always wanted to make my own ricotta but have been scared.. you make me brave, thank you! I am TOTES jealous of your friend Jenny. Cheese making, all day, every day? Sounds like a dream! This is mind blowingly easy and that makes me so excited! You are soooooo lucky to get to have such a cool friend who can teach you to make cheeeese! This ricotta looks incredible, I want it! I am so jealous! I would love, love, love to learn how to make cheese! I’m definitely trying this. Who knew it was so easy!! That’s sah-weet!!! I will be trying this sometime! OH. MY. GOSH. I’m just seeing this post now, but you have to go see my post today. I am a girl obsessed with ricotta right now (and literally…I’m eating it as I type this with berries). You are my life saver b/c at almost $10 for a little container of the good stuff, it’s getting to be an expensive habit. I am SO making this. Like, this weekend. I love ricotta! Beautiful photos!! We always make fresh ricotta at home. It’s so easy, affordable and tasty!! Girl! You read my mind. I’m posting a recipe for homemade ricotta on Sunday. It’s crazy how delcious it is. this is awsome, adding the cream would make really creamy, a must try. Great job!! Ricotta cheese is the only homemade cheese I’ve made so far and it was so so good. This looks delicious served on the bread. 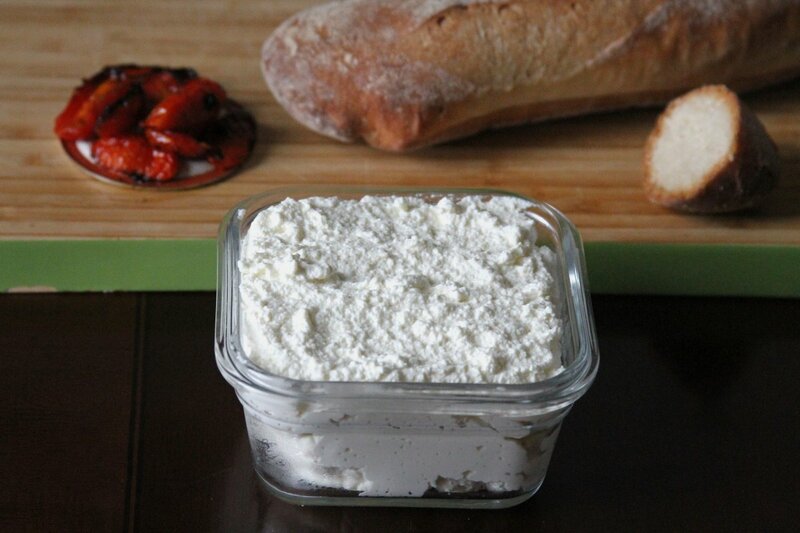 I love homemade ricotta – it’s total kitchen magic! I never would have thought making cheese would be that easy! I stumbled upon your blog when I was looking for a way to make ricotta for grilled zucchini stacks. I live in India and we don’t have easy access to ricotta here. Turns out, what we call paneer is very similar to ricotta! Colloquially, paneer is called cottage cheese, but I’ve had cottage cheese in the US, and paneer seems to share greater similarities with ricotta than cottage cheese in terms of the method, the consistency, and the texture. I make paneer at home once a week at least, but I don’t use cream; I just use full-fat milk. Thanks for this recipe — it’ll be interesting to try this with cream. More creamy goodness! Cheers! It’s been awhile since the last post but I was wondering …. What do you do with the liquid you strain? Can you use it for anything else or maybe there isn’t much of it left? I want to try making this ricotta soon so I can make the ricotta pancakes. Thanks so much!! !